Swee Siong is a digital strategist and business transformation adviser with more than two decades of experience in financial services, public services and entrepreneurship. Most recently, he held global leadership positions in international banks including OCBC and Standard Chartered, helping these institutions develop new products and capabilities in corporate banking. He was also involved in numerous industry-wide initiatives with the Monetary Authority of Singapore, including Offshore RMB Market Development, Real-time Payments and Common Addressing Scheme projects. Swee Siong is also a technology entrepreneur & investor, having started an industrial equipment life cycle management portal in 2000. He continues to invest in and advise technology start-ups as an angel investor. He is a certified Blockchain Business Strategist (Oxford University) and has been actively engaging with businesses & authorities involved in the nascent stages of Distributed Ledger Technology advancement. He believes in the need for greater public education and self-governance in this space and is the co-founder of ICO Edge, a platform for independent, objective review of ICOs. Swee Siong is a well-regarded thought-leader in the industry and a prolific speaker/ moderator in industry events and writer in trade publications. He was conferred as a Fellow of Institute of Banking and Finance (IBF) in 2015 in recognition of his contribution to the industry. He is also a grassroots leader and a member of the Tanglin Community Club Management Committee. 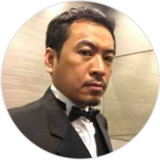 Swee Siong holds a Master’s Degree in Manufacturing Engineering & Management from UMIST, UK and is a certified International Cash Management professional (ACT, UK).